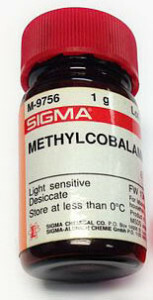 The importance of Methylcobalamin - Is Food Making You Sick? The importance of Methylcobalamin - Is Food Making You Sick? This entry was posted in Blog, DRUGS, HISTAMINE INTOLERANCE, NUTRITION, SYMPTOMS, Undermethylation, Vitamins and tagged cyanocobalamin, Health, heartburn, Histamine, methylcobalamin, Nutrition, pantoprazole, potassium cyanide, supplements, vitamin B-12 deficiency. Bookmark the permalink.